One of the most common cash flow management mistakes that property investors make is not tracking their income and expenses closely enough (or, in some cases, not tracking them at all). Without access to accurate income and expense information, property investors are more susceptible to poor financial decisions that can cause cash flow problems. The solution is to track your income and expenses and review this information frequently. 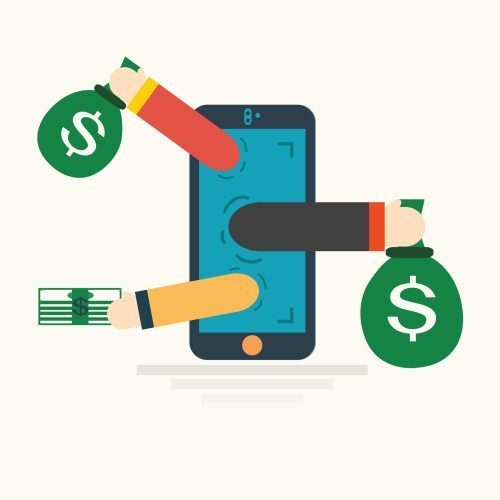 Although this might sound like a complex and time-consuming task, there are a variety of budgeting apps out there that can simplify the process and allow you to keep your financial information at your fingertips. CoinKeeper, available for iOS and Android, allows you to drag “coins” from your accounts to your expense categories so you can see where your money is going. The app also allows you to plan for the future by establishing savings accounts. HomeBudget allows you to keep track of your expenses on the go and is available for iOS and Android. The makers of HomeBudget also offers additional products to help you pay debt, track business expenses, track loans and track mileage for taxes and reimbursements. 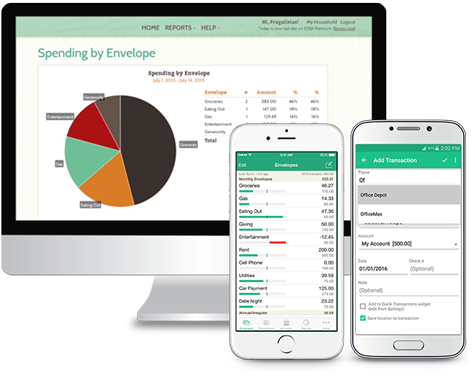 GoodBudget uses the same concept as the old school “envelope system” to help you budget your money, track your expenses, set savings goals, analyze your spending and monitor your cash flow. 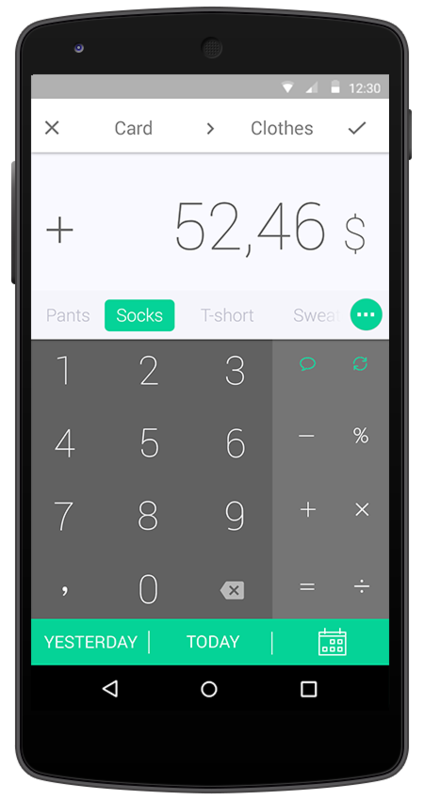 Pocketbook is free, available for Android and iOS, and gives you the option to synchronize with Australian banks. By linking your accounts, you can avoid time-consuming manual expense entry and easily track all your transactions (even the little ones). 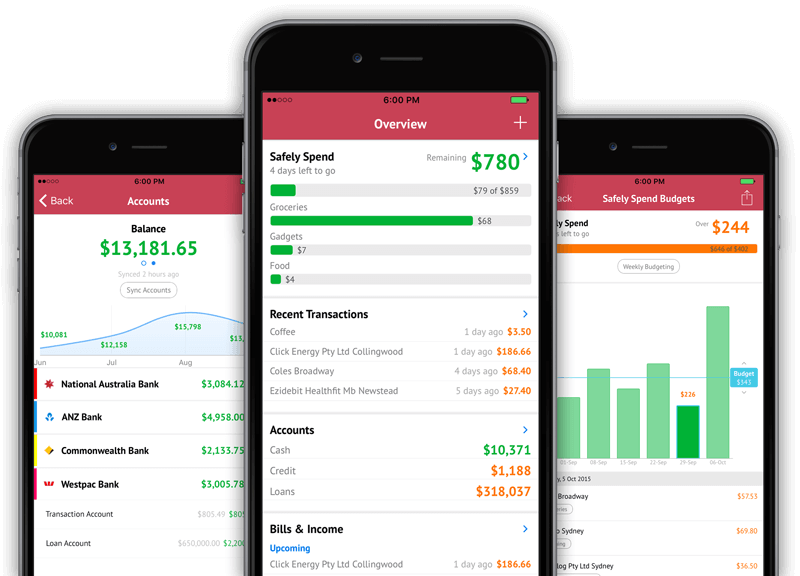 Because there are so many budgeting apps out there, you should be sure to choose one that makes tracking your income and expenses easier—not more complicated. And, because you will be using this app on a regular basis, it is important to choose something that you find pleasant and easy to use. You should also look for something that has features that are important to you, such as linking bank accounts or analysing expenses. Many apps are free or offer a free trial, so don’t be afraid to take a few for a test drive before you commit to using one. 2. List your critical/business expenses. Selecting your budgeting app was the fun part. Now, it’s time to get down to business by listing your monthly expenses. Many apps give you a suggested list of expenses that you can tweak to fit your lifestyle. Everyone needs food and clothing, but you should remove items that don’t apply to your life, such as a mortgage if you are debt-free or kids’ school/sports fees if you don’t have children. Many financial experts suggest taking care of the basics first, which include critical expenses for food, clothing, shelter, medical care and transportation. Obviously, your business expenses are also considered critical—you will have to incur some expenses in order to make money as a property investor. Fees paid to accountants, banks, etc. After you have identified your critical and business expenses, you should do your best to estimate the monthly cost of each. It might be helpful to look back at a year’s worth of bills and try to take an average of what you spend each month. As you move forward with your financial plan, you will develop a more clear idea of your monthly costs. 3. Calculate your projected income. Now that you have identified your critical expenses, you need to figure out your projected income and see how your critical and business expenses stack up. Hopefully, you will be well within the “cash flow positive” range at this stage in the process. But, if you aren’t, take a look at your expenses and apply the old-fashioned “need vs. want” analysis. If you find that some lifestyle expenses (or, “wants”) or non-essential business expenses have crept into your critical (or, “needs”) categories, take them out of your budget for the purposes of this analysis. You can add in your lifestyle expenses as part of your next step, but only after you are sure that you are cash flow positive on the really, REALLY important stuff. Get Into The Property Game… On ANY Cashflow! 4. List your lifestyle expenses. If you’ve never tracked your lifestyle expenses before, you might be shocked at how much you are spending on things like dining out, designer clothes or your daily coffee run. However, in order to develop the best, most helpful financial plan, it is critical to stay true to the actual numbers and be honest with yourself about your spending. It is also important that you build some “miscellaneous” money into your plan to cover any unforeseen expenses that may come up. Also, you should be sure to include any contributions to savings, college or retirement accounts in your plan. After you are done adding in all your expenses, you should carefully analyse the result by asking yourself one question: Are you cash flow positive overall? If so, that’s great news! However, you might consider taking a look at your expenses to see if there are any items that could be cut or changed to make yourself EVEN MORE cash flow positive. Who knows? You might even be able to find enough extra cash to invest in your next deal! If you are cash flow negative, don’t worry. Although you may have to change your spending habits (at least temporarily) or find a way to make some additional income, it is possible to achieve your goal of being cash flow positive. If you need help making a plan to get you operating in the black, you can check out this blog for some helpful hints. 6. Track your expenses every month. Believe it or not, even after doing all the work to identify and estimate your income and expenses, you still aren’t done. 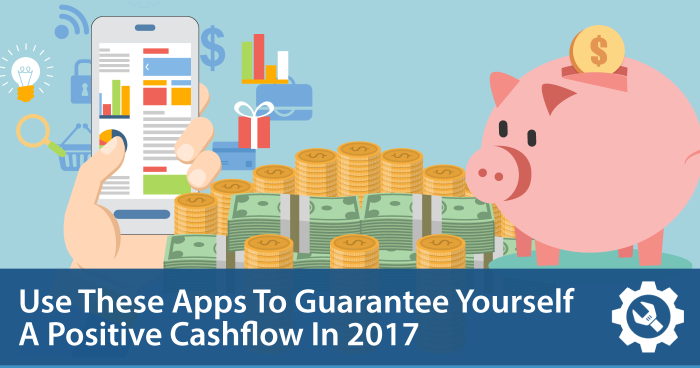 It is going to take a bit more effort for you to remain cash flow positive for the long haul. Tracking your income and expenses each month is a critical component of maintaining control of your income. You should use your chosen app to log every expense and every dollar you earn, no matter how small or insignificant it may seem. You will also need to “check in” on your financial situation regularly. Of course, there will be unexpected events that come up which will require you to make adjustments to your financial plan, your spending habits or your earnings. These regular “nips and tucks” to your financial plan will help you to stay in the black and will help to ensure your future success as a property investor. Thank you Matt, very valuable advice, as always. Thanks Matt. This is what I am up to now, budget crunching! Loved your post, easy to read and I have homework to do!! Thank you, Matt! Very useful tips!! Happy New Year! Thanks Michelle and glad this will help you. Happy new year to you too! Thankyou for that Info Matt, I shall find a suitable App. Just wondering if you know any good programme to download to help manage properties and to keep up with whether they are making you money or losing you money. I have heard of some like POSH and PIA but would love to know what you think. If you have 1 or 2 properties, it is fine but when you start getting more, it will be hard to keep up with everything without some sort of software analysis. Thanks Matt. I just did our Annual Budget check. I like the app idea to check in monthly though. Will check these out. Thanks for sharing!